The whole class of genes related to the protection against pathogens is transferred between species more easily than other, randomly selected genes, Polish scientists show in their latest research. 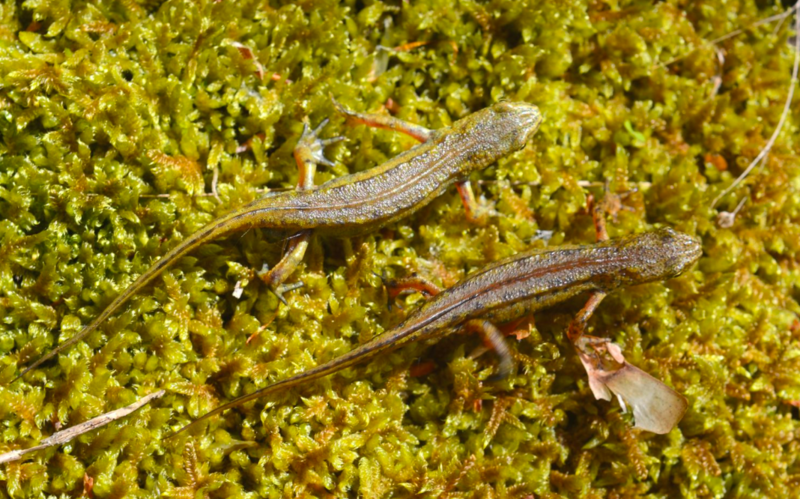 On the example of newts, they studied crossbreeding between individuals of different species. "Our results confirm the hypothesis that the immune system genes that favour genetic diversity penetrate genomic barriers more easily than other genes" - says the first author of the study, Dr. Anna Fijarczyk from the Jagiellonian University. "We have shown that genes in which new, rare variants are beneficial, behave in a relatively similar way in evolution. Nobody demonstrated it before" - adds team leader Prof. Wiesław Babik. In the case of most genes, evolution rarely promotes innovation. The old, proven methods are favoured. Take the gene recipe for the production of haemoglobin or proteins needed in the cycle of cellular respiration. Almost every change is dangerous, because it can block the efficient machinery. If a new variant of such a gene appears in the genome, it is usually removed in subsequent generations. And after some time, no trace of such eccentrics remains in the population. But it is different for genes associated with the immune system. Here, banality means death. In nature, there is a never-ending host-parasite arms race. The host is trying to find new ways to destroy parasites and pathogens, and these stowaways are looking for methods to hide from the host`s defences. They know the host`s old tricks well, they know what shield to use. So the more ways to fight the enemy you have, the better your chances of survival. 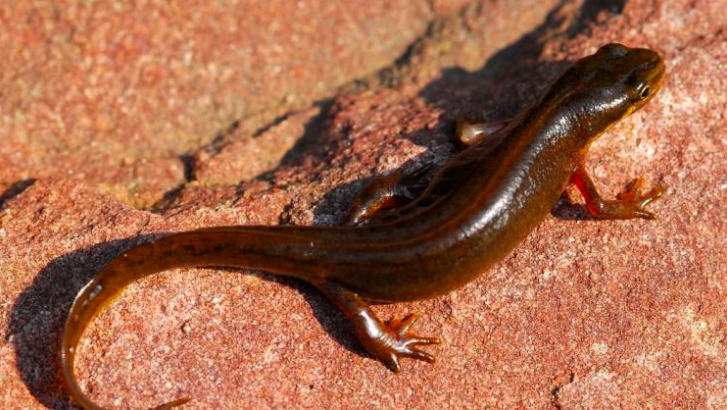 If we adopt a very broad definition, it can be concluded that in humans, like in newts, the whole two thousand genes are useful in the fight against pathogens, says Dr. Babik. In spite of this, the population still needs an inflow of "fresh", effective variants of the immune system genes. Because of this, evolution promotes diversity in those genes. "There is a so-called balancing selection, a form of natural selection that retains many variants of a given gene in the population" - says Dr. Fijarczyk. A way to maintain inflow of fresh immune system genes is crossing individuals from different, but not too distant species. "Genetic flow mechanisms between species have been poorly understood so far" - describes Dr. Babik. Scientists decided to look at the effects of such species interbreeding that had taken place in the past. Fortunately, it is possible to see in the genome of modern individuals if their ancestors were breeding with other species. Traces of such hybridisation can be found in the genome thanks to methods that combine biology and computer science. Scientists focused on newts. While the species such as the smooth newt and the Carpathian newt differ from each other and inhabit different territories, they can crossbreed where their ranges overlap, and they have fertile offspring. The researchers compared the signatures of the group of genes related to the immune system and the signatures of other randomly selected genes. It turned out that immune-related genes from a different species were widespread in populations. And the were negligible traces of variants of genes from other classes. They disappeared tn the course of evolution because they did not bring any advantage to the individuals. "We have tested over 600 resistance-related genes and selected 13 where rare variants could be an advantage. It was a full-genome study" - concludes Dr. Fijarczyk. "Our research is unique: Previous studies focused on single genes - for example tissue compatibility genes. We have studied the entire gene class, and we have shown that genes, where variant diversity is promoted, flow more easily between species" - says Dr. Babik. And he explains how it works. Let`s say that a smooth newt has offspring with a Carpathian newt. Offspring benefits immediately - it can deal with infections that its father would not be able to fight, but also with those that its mother would not be able to fight. If such an individual finds a partner, its offspring may have more success in reproduction and spread its immune genes in a greater part of the population. But this does not mean that all genes of such a hybrid are distributed. New genes in a given group, for example those associated with the shape of the skull or the skin pattern, do not have to spread in subsequent generations, because they do not facilitate survival - and they are often harmful, because they do not cooperate well with genes already present in the species. They do not move so easily from one species to another. And that is what scientists from the Jagiellonian University have shown in bioinformatic research. 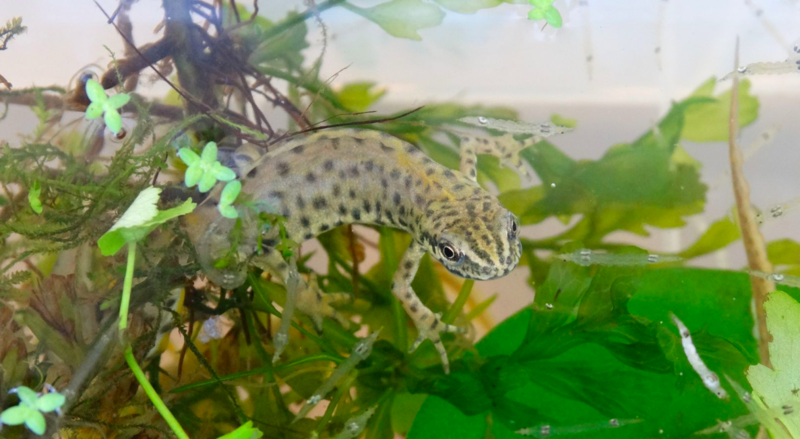 To check which genes are widespread in populations, the scientists collected RNA from the spleen of two newts to see which genes of the immune system were active in these animals. In the further part of the study, DNA was collected from over 600 newts. "We cut off only a bit of newt`s tail that would grow back" - explains Dr. Babik. He adds that the DNA of these individuals was sequenced and researchers searched for certain signatures in the genome using bioinformatic methods.